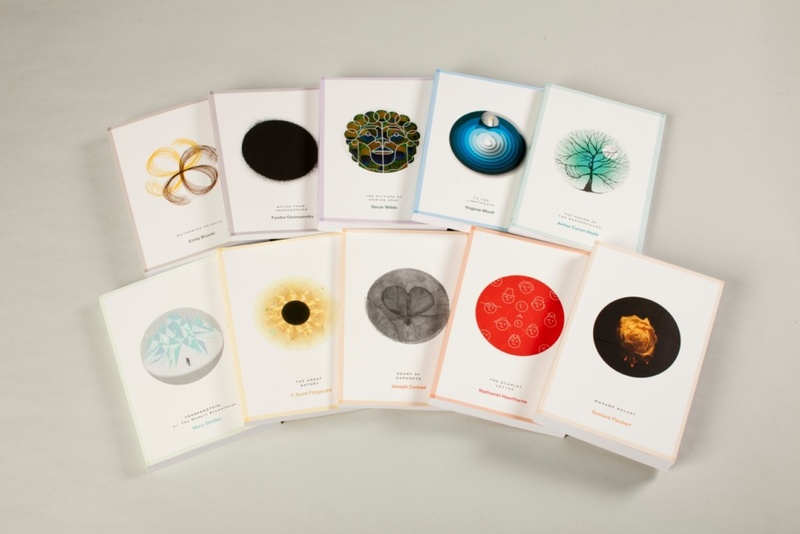 Dublin-based consultancy Conor & David has designed the covers for a beautiful new classic literature series from arts publisher Roads. The series will initially launch with ten books by authors including F. Scott Fitzgerald, Emily Brontë, Virginia Woolf, and Fyodor Dostoyevsky. 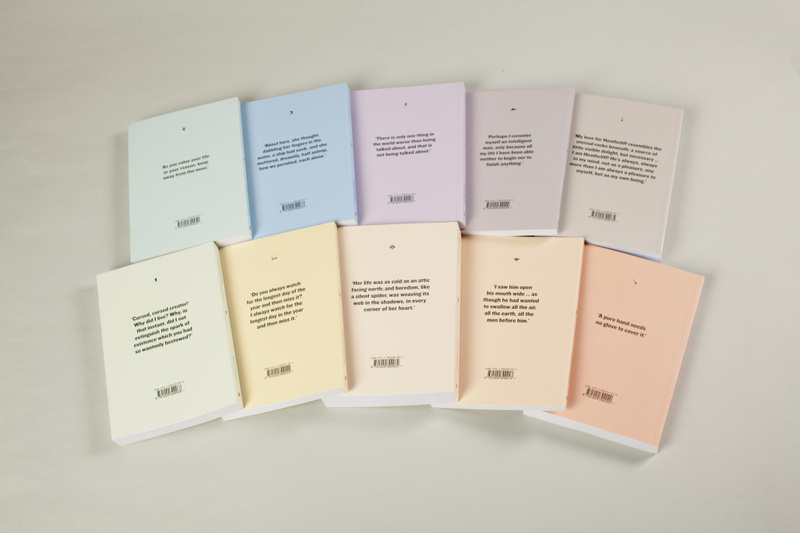 Soft pastel tones are used for the back covers – an antidote to the striking, mysterious images of the covers. 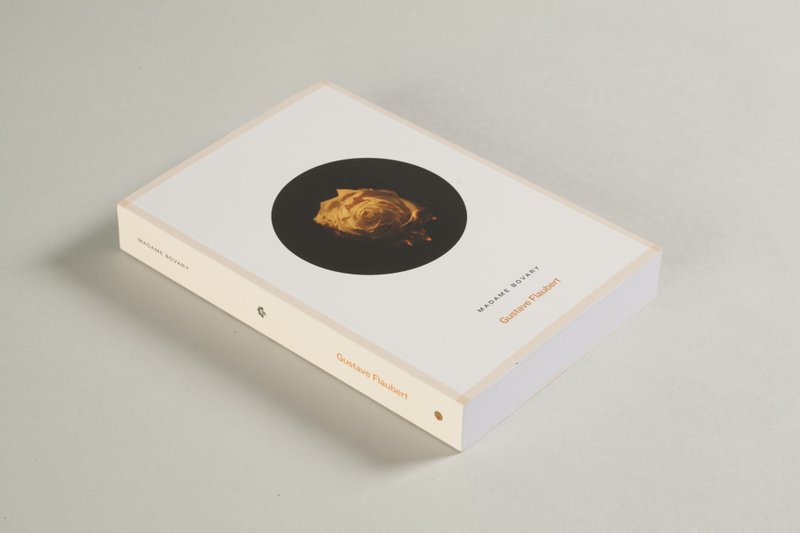 ‘Each [cover] captures the essence of the book, rather than reproducing specific scenes or dramatic moments’, says the consultancy. ‘As classics, the books and associated imagery already exist in the public consciousness. 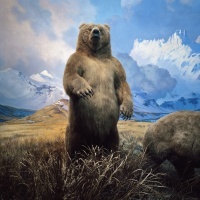 It was important to step beyond this and to reflect a deeper understanding – one that is as connected to the contemporary era as it is to the author’s. 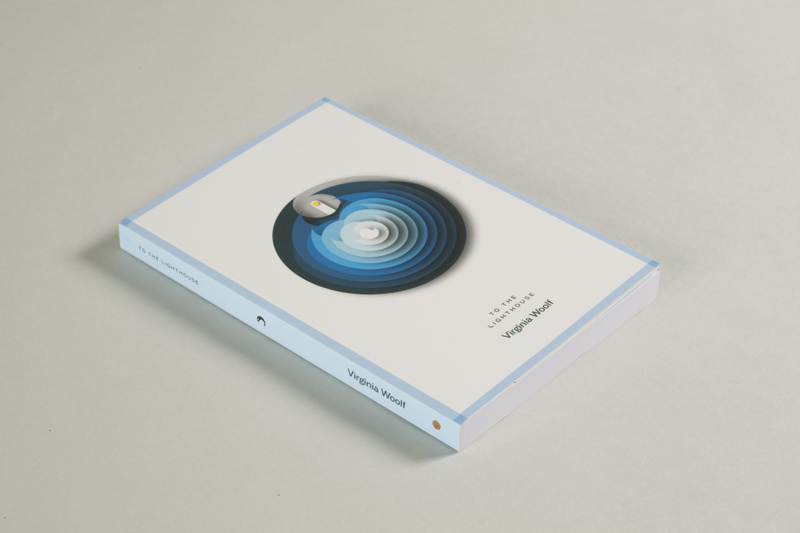 For this enigmatic cover for Virginia Woolf’s To the Lighthouse, the consultancy looked to represent the sea that separates the Ramsey family at the centre of the tale from the beacon of light on the other side of the bay. 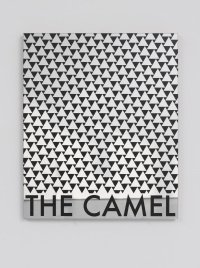 To create the image, they used layers of cut paper, rotating on a central axis. 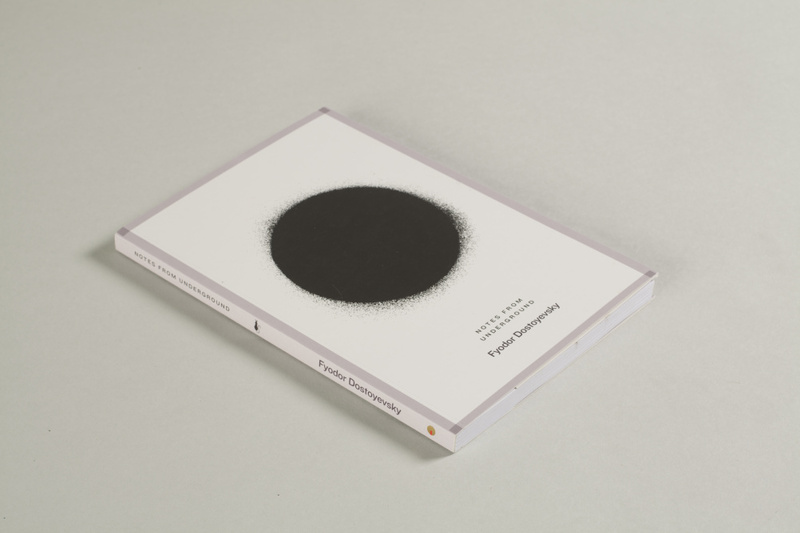 Dostoyevsky’s Notes from Underground was given a spray paint makeover on a cover boasting an ominous, fuzzy black sphere to represent ‘the mounting mental paralysis and angst of Dostoyevsky’s antihero’, says Conor & David. The portentous dot also ‘echoes the dark underground cellar in which he finds himself venting his socio-political frustrations’, adds the consultancy.